Our thoughts are powerful. So strong that it’s often enough only to think of someone to send him a small stream of energy. We are all energy beings and we all have energy that flows within and around us. When we become aware of this energy and its potential, we can use it for healing the people that we care about and aid the healing of the whole world. Being able to send energy is not a privilege or a talent. As a matter of fact we can all do it and as long as we are open and sure whom we would like to send healing energy there should be no problem. Here’s how to send healing energy to another person, animal or plant from a distance. Try to ensure you have enough space and make sure to be clean. To calm your mind take a few deep breaths…keep inhaling and exhaling for some time and then set your intention to send healing energy. You can even say the name of the person to whom you are sending healing energy out loud. To send a positive air healing energy, start to rub his hands in a circular motion until you feel the energy between them. You should be able to feel the pulse of energy from the hands when you pull them slowly. Focus your attention on this energy ball, visualize how it’s growing bigger, stronger and more powerful with every breath you take. When you feel that your energy ball is strong enough, imagine how you are sending it to the person, plant or animal you chose. You can even imagine how the person receives the energy and feels its pleasant healing effect. After you send healing energy, it is important to recharge your batteries by grounding the energy. This could include a walk in nature, meditation or talking a relaxing bath. 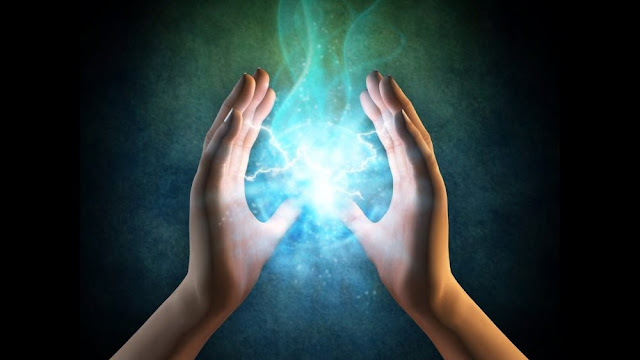 Sending healing energy to another person is a very powerful tool and a great way to help others when you can not be physically with them. The quality of your healing energy depends on you, so avoid sending it when you are physically ill or feel emotionally drained. It is not necessary to inform the person you are sending healing energy to that you are doing it, but if you tell him or her about it, they might be more open to receive the energy. Healing energy must be sent with love. If you feel any negative emotions towards the person you are sending the energy to, stop. Whatever you send returns to you – times three. This means that no matter what kind of energy you send out into the world, it will come back to you three times stronger. Distance healing is valuable and powerful tool that anyone can learn to use. So, if someone you know needs a dose of healing energy, try sending them some.